There are times when quick decisions get you the best horses! Congratulations to the new happy owner from Naphis Lutfiyah (Don Luciano SL x N.A. Latifah)! 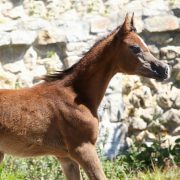 We wish you all the best with this beautiful filly! 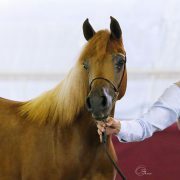 https://naphis-arabians.com/app/uploads/2017/07/lutfiyah-00009.jpg 765 1000 Naphis Arabians Naphis Arabians2017-07-29 06:56:212017-07-29 06:57:38Naphis Lutfiyah is sold! Ann Margret UMM is sold! Congratulations to the new owner from Ann Margret UMM (Borsalino K x MM Anita). We couldn’t imagine a better home for her! Good luck in the future and thanks for great cooperation! https://naphis-arabians.com/app/uploads/2017/06/ann-margret-umm-00001.jpg 1500 1084 Naphis Arabians Naphis Arabians2017-07-29 06:53:572017-07-29 06:54:21Ann Margret UMM is sold! 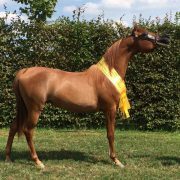 GOLD Medal for Naphis Masai Mara (Aria Tresor IA x Harmattan Maharaba) chosen out of the 14 best Junior Fillies – European C Show in Ströhen! Thank you to Glenn Schoukens, Tom Schoukens and the whole team. The biggest hug to her groom, Hanna Slegers for believing in her and getting her ready! We are more then proud of our homebred girl!